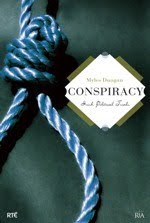 I have just finished reading Myles Dungan's new book Conspiracy: Irish Political Trials, published by the Royal Irish Academy. It covers seven famous trials from Robert Emmet (1803) to Roger Casement (1916). I found it an interesting read for the most part, but also tedious in others. While the first chapter on Robert Emmet is very good, if you have already read Patrick Geoghegan's excellent biography of Emmet: Robert Emmet: A Life (as I have) there is little or nothing new - in fact the chapter reads like a summary of Geoghegan's book. 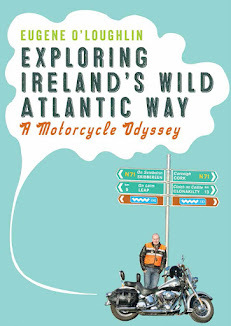 Similarly, Jarlath Waldron's Maamtrasna: The Murders and the Mystery is a far better account of the Maamtrasna trials. However, the other chapters were a much better read. The trial of John Magee in 1813 gives an excellent account of the defense of Magee by Daniel O'Connell who clearly manipulated the trial for his own publicity purposes. Dungan does an excellent job here of mingling court transcripts with opinion and analysis. The State Trials chapter, covering the trial of Daniel O'Connell in 1844 is more of a history lesson than an analysis, but still makes for a very good read. In fact each chapter gives a little history lesson - not necessary for your average Irish person who will recall the basics of 19th century history from school. The Phoenix Park murders in 1882 and trial are covered very well, though there are so many participants that it is hard to keep track. I expect this is because The Invincibles and the murders of Burke and Cavendish are themselves more well known than the five men hanged for the murders (Brady, Curley, Kelly, Fagan, and Caffrey). The Parnell Commission trial is heavier going - the other sections involving murder and death sentences are easier to understand. The final section on Roger Casement's trial in 1916 was potentially the most interesting, but perhaps the most disappointing. The chapter is 41 pages long, but most of it is not about Casement - whose trial covers the last 14 pages. Instead we get a history lesson about 1916, and (very good) accounts of the courts martial of Pearse and the other 1916 leaders. Overall, a worthwhile read. I felt that the extracts from the trial transcripts were very long in places, and there is a very annoying overuse of "[sic]" - a simple comment at the beginning explaining that quotations are original and exact would have covered this. Also - what's with the plastic noose on the cover? Did they have plastic ropes in the 19th century for hangings? Fame at last - my Blog is a "Fluffy Link" today!